The following outreach opportunities are available on both the BCP and WQPL properties. Hikes are scheduled to be led by staff or trained volunteers throughout the year on various properties in both wildland programs. The level of difficulty for hikes can vary according to the specific property and will be an important aspect for potential participants to consider based on their own physical abilities. Groups with special needs should contact outreach staff to discuss those arrangements. Pre-registration is required for most hikes in order to maintain a reasonable group size for guides to lead and for the trail or route to accommodate. Groups such as garden clubs, scout troops, environmental science classes and neighborhood associations are welcome to request a guided hike by completing and submitting an outreach request form. Staff will work with you to select a date, determine availability of staff or trained volunteers, and arrange a hike that accommodates your group's interests. While trails do exist on some of the City's wildlands, guided hikes may be arranged to offer access on properties not typically open to the public depending on restrictions due to ongoing land management or other circumstances. If you are a member of a community group or neighborhood association, you may prefer to arrange an educational presentation at an upcoming meeting. Most often, staff will provide a general introduction and visual-aid tour of a particular wildlands program using a computer-projected slideshow, though emphasis on specific topics can be requested. When presenting to neighborhoods adjacent to wildland properties, staff will try to address specific topics of stewardship unique to the wildland urban interface. Topics may include general overviews of land programs, native plants, conserving endangered species in an urban setting, or wildfire and home preparedness. Currently, the Wildland Conservation Division does not have a standard program for school groups. Teachers or parents are encouraged to contact outreach staff if they are interested in a customized classroom presentation or would like to discuss the possibility of a field trip. Staff will be working to develop activities specifically for this audience so please check back in the future. 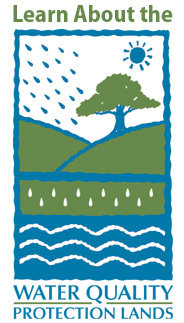 Austin Water participates in many community events by setting up a display table and/or our watershed model. These will be listed on our calendar and we welcome you to come by to pick up brochures, ask us questions and check out or display or model. If you have a community festival or event planned and would like to invite us to attend, please contact outreach staff. 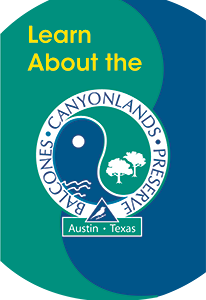 For those that hike regularly in the Bull Creek Preserve, the Bull Creek EcoWeb Tour is an excellent way to learn more about that area and the Balcones Canyonlands Preserve in general. The tour was developed as a component of the process to earn an Entry Permit for that tract during the endangered golden-cheeked warbler breeding season.